Registers and manages hardware as preview device when editing while viewing an external monitor connected to the PC. Setting other than EDIUS may be required for hardware of other company. For details, visit our website. Before setting preview devices, connect the external device (e.g. monitor) used for preview to the PC, and turn on the power. 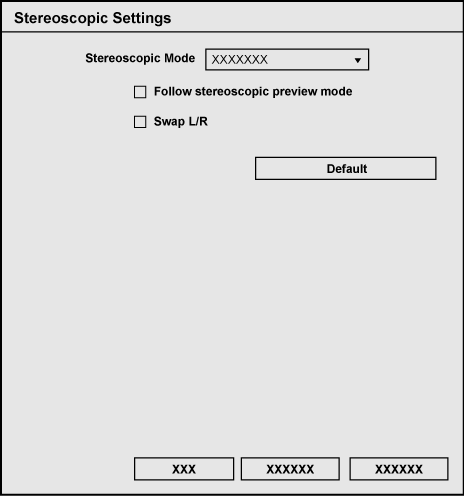 For more information on settings when using a Grass Valley product as a preview device, see the user manual included with the product. 2) Click the [Hardware] tree, and click [Preview Device]. Displays a list of preview devices. Click the preview device to use, and the device name will be prefixed with a check mark. When connecting a DV device, for example, to the IEEE1394 terminal provided as standard on a PC for video output during editing, select [Generic OHCI - Output]. You can set the details of each device by clicking [Settings]. For more information on settings when using a Grass Valley product, see the user manual included with the product. Check this item to give priority to pulldown operation (2-3-2-3) regardless of the [Pulldown Type] setting in the current project settings. Try this setting when using a monitor that does not support 23.98p/29.97p/25p display. When a preview device is not compatible with the video format in the current project settings, an alarm message will be displayed. When this item is unchecked, an alarm message will not be displayed. When a preview device is not compatible with the video format in the current project settings, an alarm message will be displayed and detailed settings cannot be changed. Reset the project settings to match the preview device. Audio is output packed from the left in order starting from the smallest monitor number. 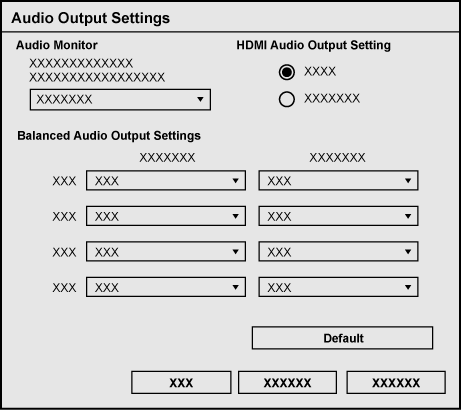 When the number of output channels exceeds the number of channels that can be received by the monitor, the audio of the channels exceeding this limit is not output. Displays the color bar. The color bar is displayed in the same way on preview device monitors. Select the encode format ([DV]/[DVCAM]) for DV output. The synchronization setting between the monitor output device used during editing and the Grass Valley hardware. The setting for a monitor output device used during editing.